Engine 28/Tower Ladder 10 Firehouse in Jamaica Plain. To summarize the gender woes of the Boston Fire Department as so much “locker room talk,” you have to ignore a lot of terrible behavior. Not only that, you would have to be blind or ignorant about the problems faced by employees trying to shoehorn themselves into a culture that makes a point of refusing to be more inclusive, that finds the whole concept embarrassing and soft. A city-ordered report issued this week on gender issues in the Fire Department found that, well, things could be better. It offers a handful of common-sense solutions, such as hiring more women. But it stops well short of demanding any real accountability or pushing for change. 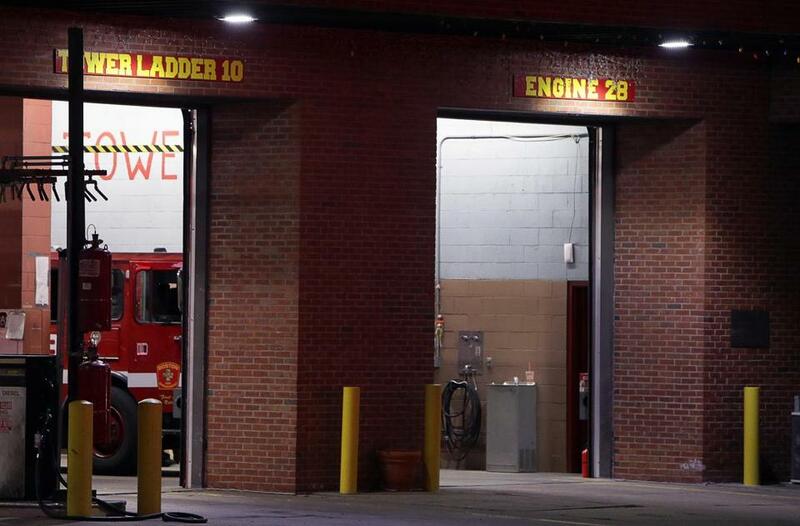 The Boston Fire Department didn’t have a woman in its ranks until 1984, and has only 16 today. To this day, it is among the most retrograde of city departments, an old boys’ network unto itself. That’s a problem. The latest study came on the heels of a Globe report by Meghan E. Irons last year detailing complaints of sexist and demeaning treatment — often made worse by an insular culture that demands going along to get along. The specific allegations of bad behavior ranged from lewd comments and propositions to alleged assault. Some said their complaints had fallen on deaf ears in an environment where complaints are often viewed as weakness. One obvious problem, acknowledged in the report, is simply numerical. Women make up barely 1 percent of the 1,500-member department. Only one captain is a woman. Those numbers reflect a department stuck in a bygone era. Firefighters work in a unique culture. Their schedule — typically, 24 hours on, 48 hours off — means long hours in close quarters. The firehouse becomes a sort of family — or a fraternity house, as the case may be. Of the 33 firehouses in the city, only nine have women regularly assigned to them. Those that do have female firefighters typically have only one. To assess the department’s treatment of gender issues, Mayor Martin J. Walsh hired attorney Kay Hodge, who regularly does business with the city, to conduct a review. To my mind, she lacked the independence the job required. Hodge is currently representing the city in a case of discrimination involving the Fire Department and at least one other high-profile retaliation case involving another city department. No matter how good a trial lawyer Hodge may be, that should have instantly disqualified her from leading this probe. The first stop, all seem to agree, is more women in the ranks. To that end, Walsh has called for a cadet program that would be exempt from the veterans’ preference and other rules that have helped to create such a male (and white) institution. Walsh’s proposal would require approval by the Legislature. As first steps go, that’s fine. But it isn’t enough. There is still a nagging unwillingness to address the issues of disparate treatment. Every mayor of the last 30 years has known the Fire Department is a lousy place for women to work, and every one of them has ducked the issue. Walsh has claimed repeatedly to be a great champion of women in the workplace. The Fire Department would be a great place to show he means it.